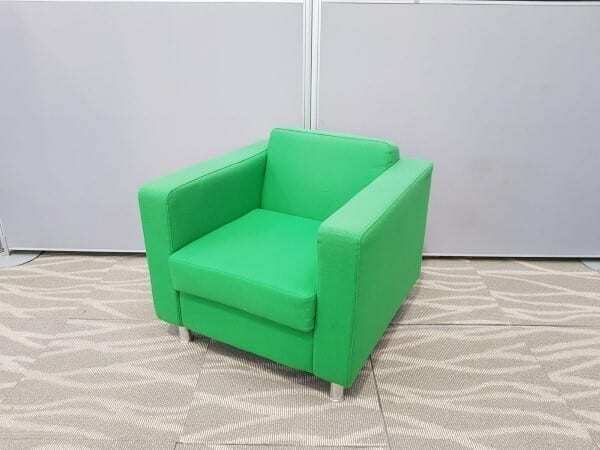 With striking square lines, prominent green upholstery and trendy chrome legs, the Ocee Design Dorchester armchairs will definitely make an impact in your reception or breakout area. If you would like to purchase these armchairs, you can get in touch with one of our sales team by calling 07944 508282. Alternatively, you can fill out our ‘Request a Quote Online Form’ or click on the Telephone Icon located at the bottom of the page.